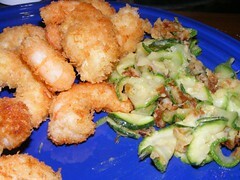 Rounded out October weekends with a fried dinner…fresh Georgia shrimp and some zucchini. Quite delicious. The shrimp is easy…peel the shrimp, set up your station of one plate of flour, one with egg, one with panko bread crumbs….dredge in flour, then egg, then panko…fry in oil until panko is golden brown. The shrimp this time of year are sort of sweet and very delicious…so much better than farm raised (sorry to those of you out there not on the coast!) For the zucchini I made a batter with flour (about a 1/2 cup) and milk and then added ice cubes – the colder the batter – the better; dredge zucchini in batter and fry in oil….they will take very little time to cook depending on the thickness of the vegetables. Enjoy with friends! I haven’t cooked in a while. It was a great distraction to finally be able to cook and eat a meal. 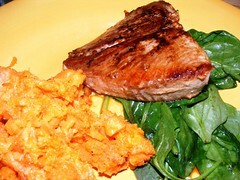 I made tuna steaks, mashed sweeted potatos and wilted spinach. 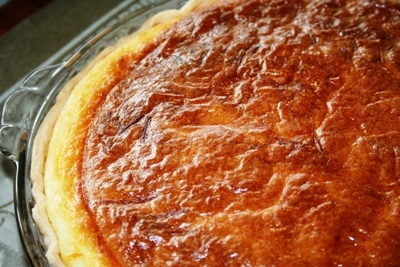 I marinated the tuna in soy sauce, mustard and honey – then pan seared the tuna – about 4 minutes on each side. DELICIOUS! I wilted the spinach in a bit of olive oil and seasoned with salt and pepper. EXCELLENT. 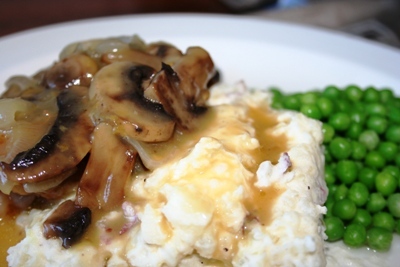 This was so easy and so delicious and such a needed change from the absolute lack of home cooking I have been able to provide as of late. I Love My Crock Pot!!!! Tuesday didn’t begin with much flair (or should that be flare?). I could not drag myself out of bed, and after getting ready for work it dawned on me that I didn’t have a clue what we were going to have for dinner- which isn’t good because I get home from work after 4, and Dev has to be in class at 5:30. Get out the crock pot- that’s what. Now- let me say this was a dirn good dinner- better than some of the ones I’ve planned out and actually worked on all day. I know what you’re thinking….”Canned soup- how drole.” And I know where you’re coming from. Had this been a weekend, I might have drained the juice from the chicken and thickened it with flour and butter and made a respectable pan sauce. But during the week that just isn’t an option. And really, with the wine thrown in there, it’s hard to tell that it’s canned soup.